Stop wondering when the bus is coming. 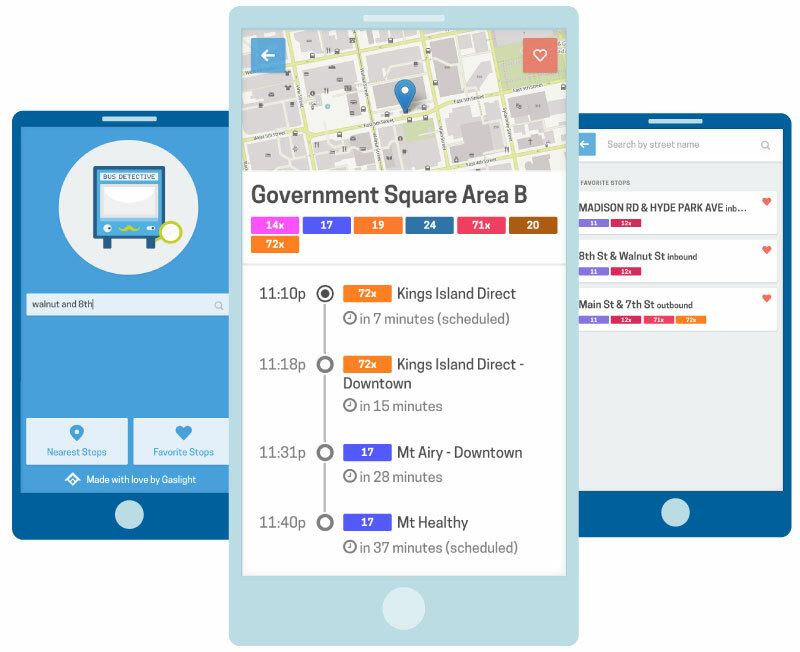 Bus Detective gives you real-time arrival data for Cincinnati Metro buses. See real arrival times and minute-by-minute countdowns for every bus headed for your stop in the next hour. Tap the heart icon to bookmark bus stops near work, home or other regular destinations. Quickly find bus stops by street name, stop ID number (found on bus stop signs) or your current location. 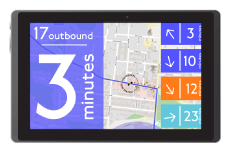 This summer real-time bus arrival data will start popping up on tablets in store windows, bars and restaurants. Find out more about this People’s Liberty grant project.